That’s the word people keep using when they talk about Hurricane Harvey and its devastating aftermath. If you’ve seen the images all over the news and social media, you understand why. 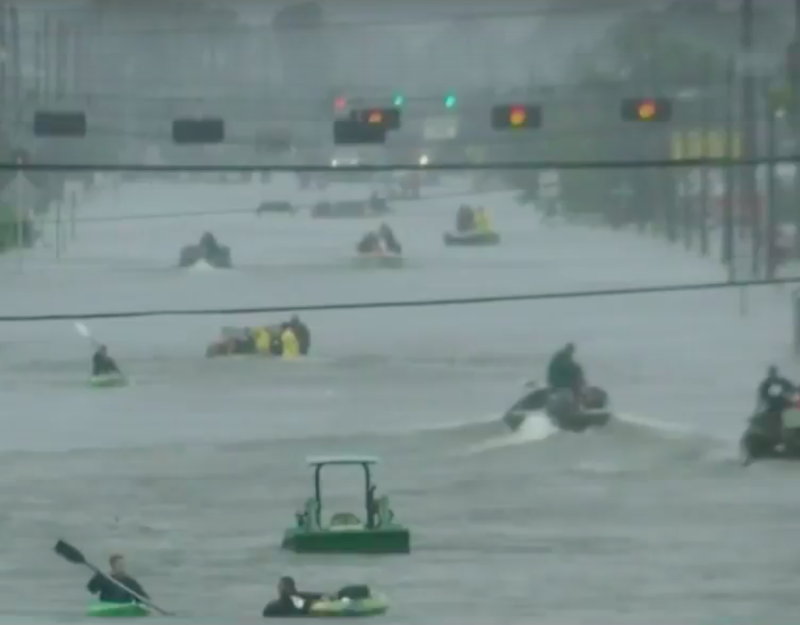 The storm was a Category 4 when it hit near Corpus Christi, Texas, with sustained winds of at least 130 miles per hour. The storm has since stalled, dumping feet of rain over the state’s Gulf Coast. An additional 15 to 25 inches of rain are expected over parts of Southeast Texas over the next two or three days, with some areas seeing as much as 50 inches in that time. In short, the people of Texas need our help, now. Here’s a list of nonprofits on the uBack app that are actively sending people, supplies and services to the area. Pick one or spread the love across them all. To support shelters and emergency relief: Donate to the American Red Cross and Salvation Army Emergency Disaster Services. To provide food: Donate to the Houston Food Bank and the Food Bank of Corpus Christi. To contribute to long-term recovery efforts: Donate to Catholic Charities USA. “Long-term recovery is an integral part of Catholic Charities’ holistic approach and we work tirelessly to ensure individuals can live their lives with the dignity we all deserve,” according to a statement on the organization’s website. “This service is provided to the community regardless of religion, social or economic background." To help animals: Donate to the Houston Humane Society. The organization is working to marshall care and shelter for animals in the region. The San Antonio Humane Society and the Houston SPCA are also working to help in areas affected by the storm. To help provide medical supplies: Donate to Heart to Heart International. For more information, click here. To help provide personal hygiene kits to flood refugees: Donate to International Relief Teams. For more information, click here. To donate diapers: Donate to the Texas Diaper Bank. Most people don't realize diapers are not provided by disaster relief agencies. To offer a room or space to stay: Airbnb has set up a website to facilitate the sharing of space in the wake of the storm. You can find space to stay or offer a room. To donate blood: The South Texas Blood & Tissue Center allows you to make appointments online to collect donations. If there’s an organization that isn’t on our list but should be, please let us know. Send an email to maryjohnson@ubackforgood.com.